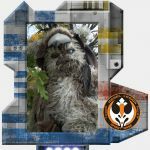 Rebel Legion :: View topic - Is this Weequay clearable? Posted: Thu Feb 02, 2017 5:25 pm Post subject: Is this Weequay clearable? I guess the first question would be is whether or not Weequay is a hero or villain. This is what I've been asking myself as it isn't black or white when it comes to current cleared costumes. Malakili (Rancor Keeper) and Twilek slave dancers are part of Jabba's world. There are also Wampa's and Tuskens and Jawas whom aren't overly Rebel. It looks as through the WeeQuay in the skiff is a spy for his people so it may play out as a hero character. I need to read up on it though. There are some species who are only approvable on one side or the other, and some species that can be heroes or villains. So we like to check our references before getting too far in. Since WeeQuay were on Tattooine it is possible Krayt Clan in the 501st will accept them. But if the WeeQuay turns out to be a Republic sympathizing species like Ewoks and Wookiee then you would try for approval with Rebel Legion. And my guess is that Hondo might get approvals on both sides since he is so terribly for himself first- and would sacrifice Imperial or Rebel to get what he wants. It does seem to be a bit of a grey area. At present there is no CRL over at the 501st but there may be some Pagetti Rooks lurking around the world where local Garrisons have cleared them - not seen any yet. To confuse matters more over here in the UKG we have 'Rebel Command', a section for Rebel characters although there is a lot of co-operation between UKG and the RL Elstree Base. If accepted by the 501st it would end up in the Kryat Clan although they don't seem to be overly happy with non Tusken/Jawa characters in their ranks. Tuskens and Jawas do seem to be very popular as everyone wants them. My Tusken is cleared with both so are they heroes or villains? I'll have the alien judges confer. We are all in Krayt Clan as well so we can help you land in the right spot. Pagetti Rook, as part of Jabba's security force, and actively against our heroes, they are considered 501st costumes. A generic Weequay can be a pilot, jedi, etc. But the skiff guards can not be Rebel Legion costumes. 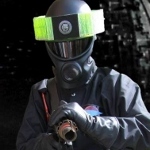 There are several approved Pagetti Rook costumers in the 501st, and we are working on the CRL. We just need more active input from those who have made the costume. Rob Howson (who made some of my costume) has been drawing up a CRL after Katharina's CRL sort of died off last June. Just wondering how Malakili seems to have slipped through? ... Just wondering how Malakili seems to have slipped through? Malakili is the Rancor Keeper. He has no (political) affiliation and is considered a non-combatant, civilian, or even a slave to Jabba.